As we ring in the new year, there’s no better time to take a few minutes and reflect on the last year for your Grange, and to make a few resolutions for 2014. 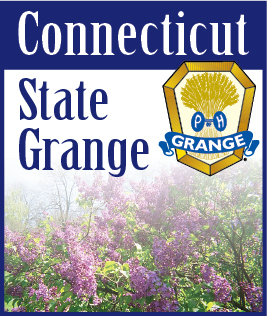 Staying in touch with your membership keeps everyone in the loop with the activities and projects of your Grange. Good communications creates enthusiasm. Look for new ways to engage your members and the public. Find something that inspires you and then find a way to incorporate that into your Grange. Don’t be afraid to try something new. Have fun as a group. Laugh more. Give to the community. Be curious. Volunteer and lend a hand. Focus. Choose a favorite project to participate in. Exercise your mind. Be tolerant. Discover something new. Say thank you. But most importantly, share your love of the organization with others.